I have been hunting with bird dogs now for 15 seasons and, during this time, I have witnessed a lot of cool things in nature while chasing birds with my bird dogs. No doubt, this is one of the things that keeps me coming back for more. One of the most intriguing phenomenon that I have observed is what is often referred to as the “towering bird.” The first time I ever observed this was in October of 2011 during my week long hunt with Shawn in Idaho. 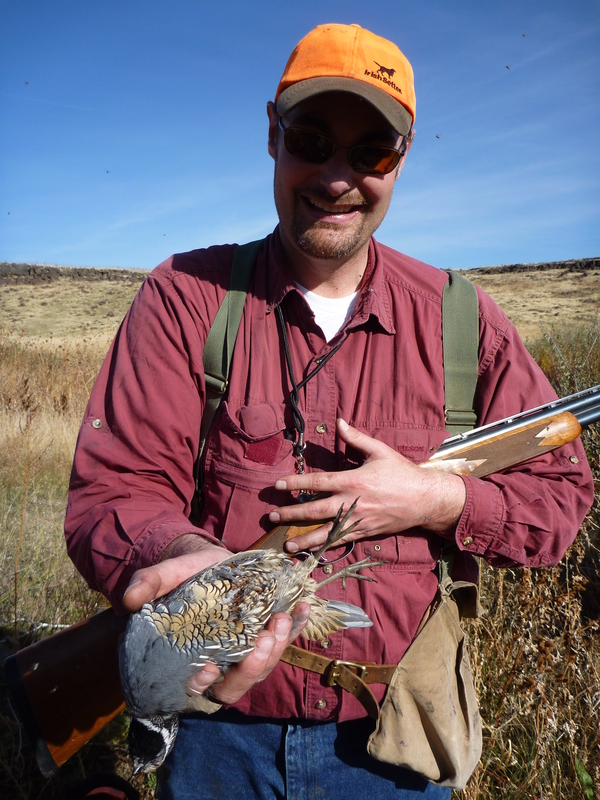 On one of our first days, we were hunting a creek bottom, most of which had recently burned, but we discovered that a half-mile stretch held some excellent cover and piles of valley quail. We had a field day chasing quail in this creek bottom and as we reached the downstream end of huntable area, Shawn thumped a quail that was trying to escape into the impassable lava rock downstream. The bird instantly went from flying horizontally to straight up, and as it towered skyward, Shawn gave it the second barrel and it fell straight down into the lava rock. I had heard of this happening before, but this was the very first time seeing it. We ended up naming this special covert, “The Miracle Half Mile” at the end of this banner day. When we made it down to the large sagebrush flat at the bottom of the valley, the dogs became very birdy and we followed. Soon a huge covey of quail, what we call a “Chubby Covey,” flushed in unison up a steep hill to a solitary clump of trees and brush. Since this was the only show in town, we pursued. During winter, one of the main survival techniques of valley quail is to gather together in huge coveys of 50 to 100 or more birds. While the big coveys are susceptible to predation, the birds know that their strength is in numbers and the utter chaos of the unorganized flush of such a large group insures that some will survive attack to propagate the species. This is truly a sight to behold. After hiking and huffing our way up the steep grade, I fully expected the covey to flush wild, but they held like bobwhites and we walked right into the midst of them before they started to buzz all around us like a swarm of angry hornets. I uncharacteristically took two birds with my first two shots. While Matt started off a little rocky, he soon dialed in and it was fun to watch Darby, his yellow Lab, point and retrieve numerous quail. For Matt, it was a charmed day as the birds all seemed to fly his way giving him numerous good opportunities, which he capitalized on. We relocated part of the covey that flew straight uphill and Matt took a few of those birds, but we could not relocate the bulk of the covey that flew back down towards the creek bottom. We found and took a few more birds along the waterway, but saw nothing like the Chubby Covey of earlier that morning. One of Matt’s birds even towered straight up after being hit which is a rare sight. In all my years of hunting, I have only seen it twice. So, in the hunting season of 2011, I observed towering birds not once, but twice. Pretty darn cool! The cover at the Royal Macnab was not great, but better than when it’s Royal MacMowed! As I hunted around the big draw and down toward the Pinch, Shawn texted me and asked, “See any birds?” I texted back “Not yet” and before I could push send, this sharptail leaps into the air fighting the wind. I raise my gun and try to catch it, but hit it low as it’s rising straight up. The bird levels out and I fire again as it heads away. I didn’t think I hit the bird the second shot, but the bird flew fifty yards and then towered straight up fifty feet. I’ve seen it happen before, but never on one of my birds. I knew this was a dead bird. So the dogs and I headed down the slope to where the bird had dropped. I was hoping Sunny would get the retrieve, but Misty was the one who found it, although she would not bring it to me. Sunny ended up bringing it to me and I was happy for her as it was her first retrieve for the year. Misty poses with our one and only towering bird. On five different occasions I have observed the unusual phenomenon of a “towering” bird. In each instance where I secured the specimen, I found only one shotmark in the skin, and that just back of the eye. My theory of the singular performance is that the shot has only sufficient energy to penetrate to the optic never or nerves, where it lodges. The paralyzed nerve causes temporary blindness, but otherwise the bird is physically fit for minutes of intense action. It cannot see to make a landing, and every instinct tells it to keep flying; consequently it tips instantly and sharply upward, and begins a spiral flight straight for high heaven. Usually, if the wind is strong enough to cause a drift, the flight is practically vertical. Altitude is gained slowly, and at tremendous effort that it hastens the end. Abruptly the wings cease to beat, and the bird is dead in mid-air. I have seen the flight continue for several minutes, although in my experience, I doubt if the ultimate height ever exceeded two hundred yards. Quite honestly, I don’t know whether or not Spiller is correct on his theory, but it makes sense to me One thing I can attest to is that each time I’ve witnessed a bird tower, it was a “dead bird flying.” It was only a matter of time before the bird dropped stone dead back to the earth. Like I said, one of things that draws me back to hunting time and again is experiencing the unexpected in the natural world. I can honestly say that I go out each hunt with the same childlike enthusiasm that I did fifteen years ago. I still love it! I would love to hear your stories of towering birds, so leave a comment. 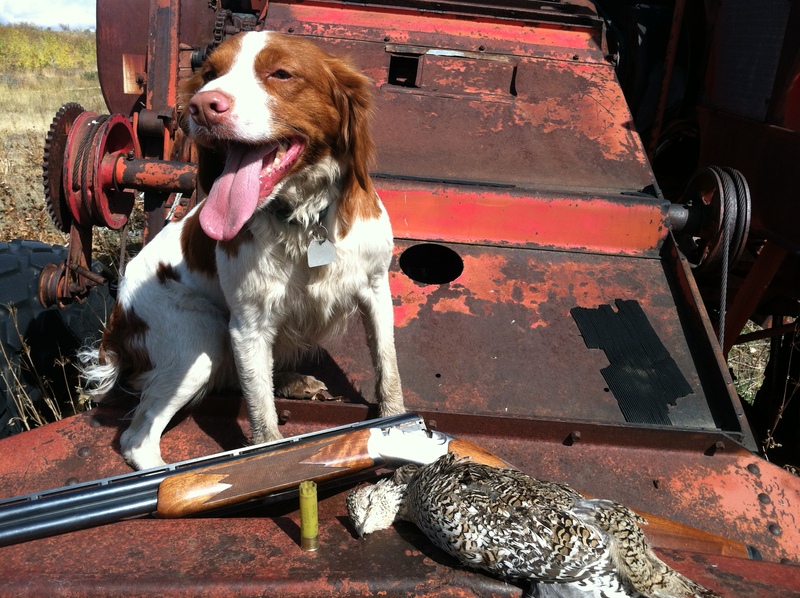 Next Post WHO IS THE BEST WRITER ON GROUSE HUNTING? I have seen this once or twice. The more interesting phenomenon to me is the bird that flushed and made me take an off balance crossing shot. I didn’t try a second knowing that even my first was well behind. The instant the bird got out of gun range and near a brushy cover I thought he would hole up in, he dropped from the sky stone cold dead. 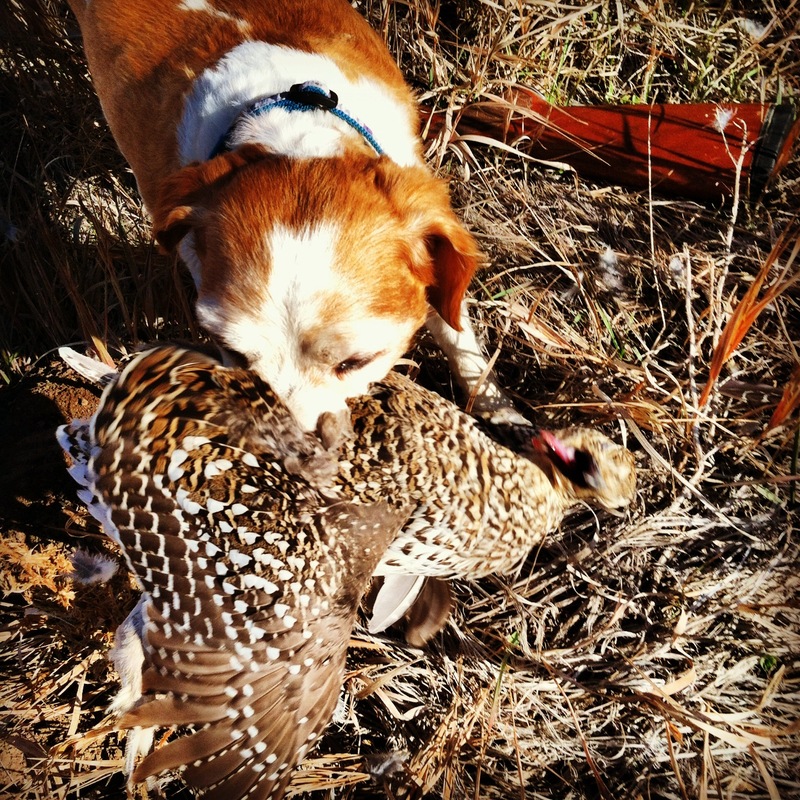 When we retrieved the bird, I couldn’t find a single piece of shot in him. I think once in a while the Lord takes pity on the dog and throws him a bone! Like in everything else in life, I can claim none of the glory due HIm! Every successful shot at a grouse is a lucky shot, or some may say an answer to prayers! I’ve seen pheasant tower before, but my first towering grouse happened in September. It was a big, male, blue grouse. He flew in a tight spiral upwards about 75 ft. then turned and flew almost straight down, crashing with a thump that was audible at 40 yards. He had one pellet in his breast and one pellet in the neck. Both wings were broken by his crash landing. Dog brought him to hand deader than a rock. That’s amazing! You never know what you’ll see next in the uplands. Thanks for sharing.